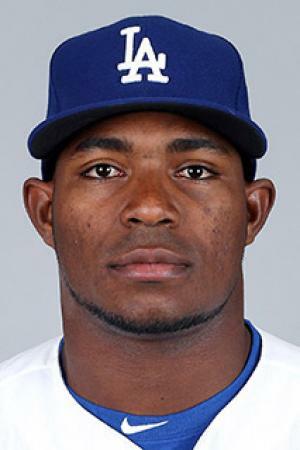 Yasiel Puig Valdes was born on 7 December 1990, in Cienfuegos, Cuba, and is a professional baseball player, best known as a right fielder for the Los Angeles Dodgers team in Major League Baseball (MLB). He was also part of the All-Rookie team during his first year in the MLB, but all of his efforts have helped put his net worth to where it is today. How rich is Yasiel Puig? As of late-2016, sources inform us of a net worth that is at $8 million, mostly earned through a successful career in professional baseball. He was part of the Cuban national team during the 2008 World Junior Baseball Championship, and as he continues his career it is expected that his wealth will increase. Yasiel started playing baseball at a very young age, learning the sport when he was nine years old. He became well known after he became part of the Cuban national baseball team that won a bronze medal during the 2008 World Junior Baseball Championship. After his appearance there, he participated in the Cuban National Series for the team Cienfuegos, so 2009 proved his breakout season, and he would continue to improve his craft. He played for the national team once again during the 2011 World Port Tournament. He then tried to defect along with Gerardo Concepcion, and while Concepcion was successful, he was not. Due to this, he was not allowed to play during the 2011 season. In 2012, Puig aspired to be part of the MLB and he tried to defect to Mexico 13 times. He was eventually smuggled into the country, and would then come under the wing of Floridian Raul Pacheco, who would then give Yasiel to an agent in exchange for a percentage of his future earnings. The same year Puig signed to the Los Angeles Dodgers, and became part of the Arizona Rookie League team in the minor leagues. He was promoted to the Rancho Cucamonga Quakes and played 14 games before he was sidelined for several months due to an infection. After doing well in 2013 during spring training, he was put to the Chattanooga Lookouts and played there for 40 games. In the same year, he was promoted to the major leagues, and performed well during his first few games such that he was offered a seven year contract worth $42 million, which improved his net worth significantly. In his fourth game, he hit a grand slam and would later become the second player in the modern era to hit four home runs in his first five games. He became the National League Player of the Week, and would continue breaking records in the coming months. He was voted to become part of the 2013 Major League Baseball All-Star Game, which led to him becoming part of the final candidates before losing the vote to Freddie Freeman. Thanks to his stellar rookie year, he became part of the “All-Rookie team” of Baseball America. He continued his hot streak in 2014, with his net worth also continuing to rise. He became a starter during the 2014 Major League Baseball All-Star Game, the youngest Dodger to start in the All-star game. He would finish the season with 16 home runs and a .296 batting average, and was also selected to become part of the MLB All-Stars team in the 2014 Major League Baseball Japan All-Star Series. The following year, Yasiel had to miss a few games due to hamstring issues, but still played a lot of games, but the hamstring injury kept him from playing consistently, and this continued well into 2016 which reduced his playing time. He was optioned to the AAA Oklahoma City Dodgers, before returning to the team and playing the remainder of the season. It is known that Puig has paid Pacheco officials over $1 million as part of the deal that helped him land a sports agent. In his personal life, any relationship has so far been kept very private.